The searching zeal for a true linguistic form of tunes, grossly of music, kept pushing SANJAY to get to the bottom from his early teens. At that time, available musical instruments were only two in their house – one was a pair of Indian drums, “Tabla and Buyan” and the other was a Harmonium. 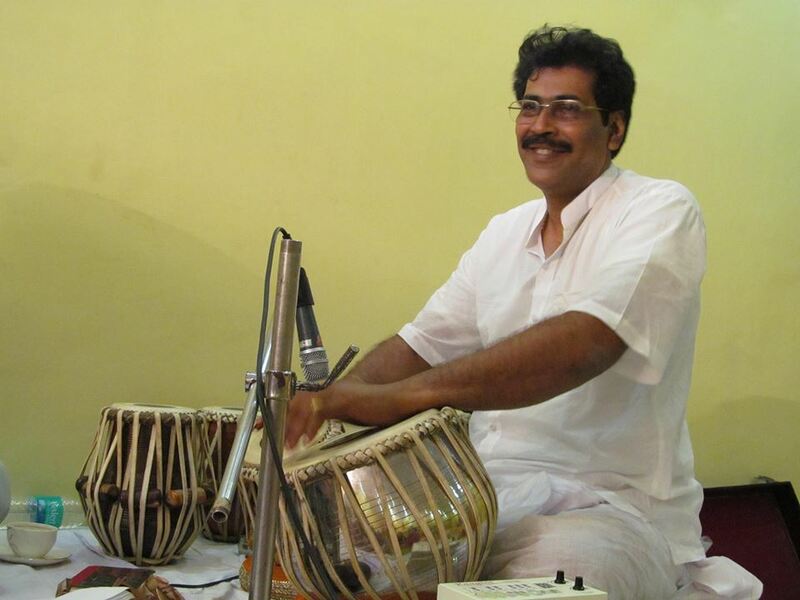 SANJAY began to learn “TABLA” from Shri Kantilal Bandopadhyay living at Naihati, a place not very far from his home at Shyamnagar. 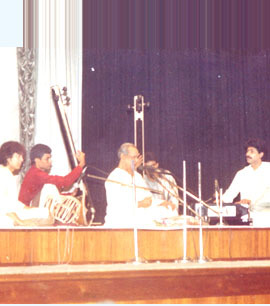 Soon after, he became a household name as a Tabla Accompanist in musical soirees of the locality and surrounding areas. 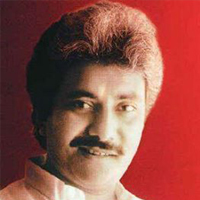 In his school days SANJAY had occasions of attending such few hundreds of soirees even at the State level with both vocal and instrumental artistes. 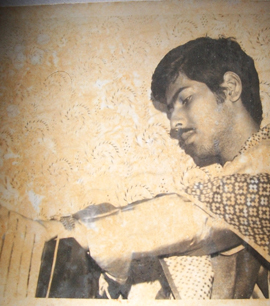 Side by side, SANJAY also carried on with learning HARMONIUM, an Indian variant of Organ which has widespread use in various genres of Indian music particularly vocal music, ranging from Classical to Folk. 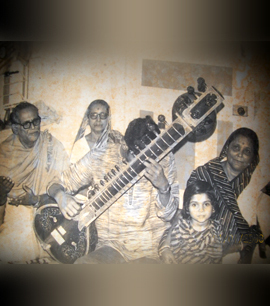 He received his early lessons in Harmonium from his father, Shri Ajit Kumar Chakrabarty and was further groomed up by his elder brother. 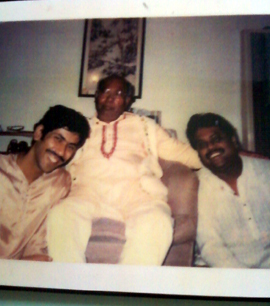 From the age of 15 or 16, SANJAY began to lend his support on the HARMONIUM with Classical Concerts of his elder brother who is none other than today’s internationally acclaimed iconic Vocalist, PANDIT AJOY CHAKRABARTY in all Classical Music Conferences of the country and abroad. 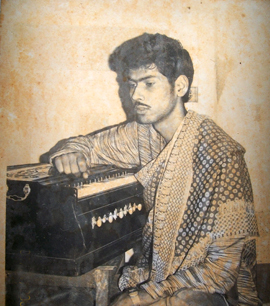 From the year next, that is from the age of 17, SANJAY was picked up on priority as the most fitting Harmonium Accompanist in the concerts of world class maestros belonging to All India Radio and ITC Sangeet Research Academy, of Kolkata, the premier institute for promoting Classical Music as well as the Guru Shishya Paramparaa tradition of ancient India, having widely travelled across the country and abroad with a chock-a-block diary of programme schedules for all the time. World wide recognition and fame followed galore. 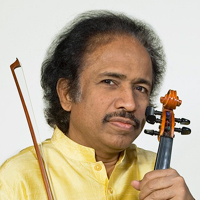 But SANJAY counted more on his fortune of having so close association with almost all the North Indian Classical Luminaries and also some of South Indian Music Legends. Of the northern fringe the names like Bharat Ratna Pandit Bhimsen Joshi, Vidushi Kishori Amonkar, Pandit Mallikarjun Mansoor, Vidushi Girija Devi, Ustad Zakir Hussain, Pandit Swapan Chowdhury and of course his elder Pandit Ajoy Chakrabarty, and of southern fringe the names like Padmavibhushan Dr. M. Balamuralikrishna and T. N. Sheshgopalan need a special mention. Upon spending nearly a decade in playing Harmonium, that too with such above galaxy of world class artistes, SANJAY achieved a different peak, that is HARMONIUM SOLOIST. This independent calibre of SOLO PERFORMANCE got a fillip by virtue of his being born in a musician family, blessed with training and knowledge of Classical Vocal Music from his early days. 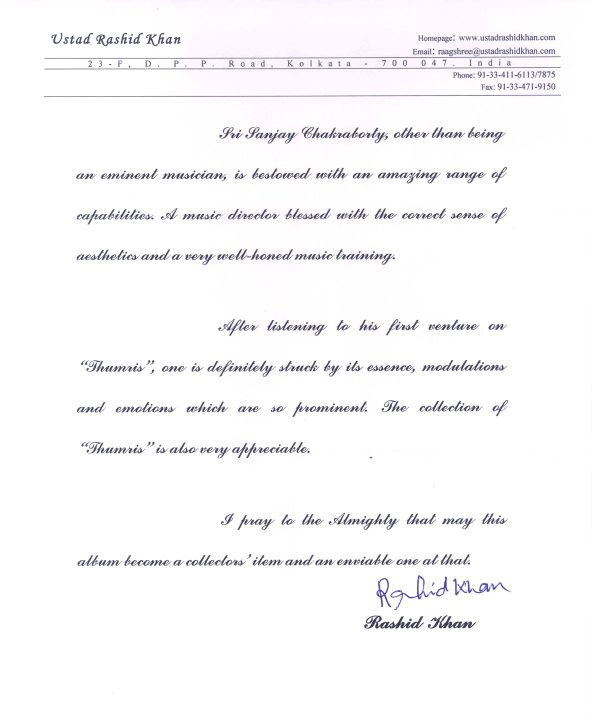 But the more he went into its depth the more he found that HARMONIUM was not the right medium of delineating the soul of Indian Raga Music (classical music) which is largely based on “Meend” that is gliding notes or tunes, inter-woven with micro-notes (tunes). HARMONIUM can only produce staccato tunes, that is a string of notes detached with each other. It made him ponder over inculcating such other instrument that could justify the right rendition of Raga music holding its dignity on high spirits. 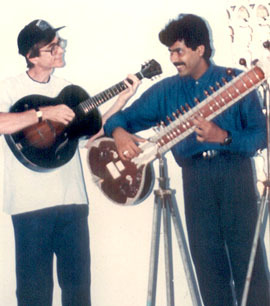 In the middle of such confounded state SANJAY fell in love with the tonal elegance of SITAR and took to learning this majestic instrument from none other than the legendary maestro PANDIT NIKHIL BANDOPADHYAY of Senia Gharana (a most dignified school of Indian Raga Music headed by TAANSEN). 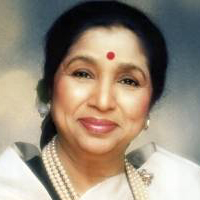 Unfortunately for untimely demise of this great maestro, the curtain dropped only after a lead of 3 years. 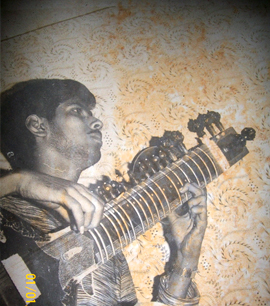 But SANJAY did not give in and continued learning SITAR under tutelage of Pandt Ajoy Sinha Roy of same lineage. 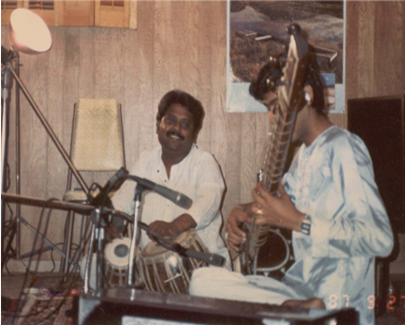 With a musician’s mettle in his heart, SANJAY did so well with his new instrument that his SITAR RECITAL started being staged to an extent in several places at home and abroad before long. But SANJAY’s life trajectory never ran smooth, and rather had always passed through pits and pinnacles. Accordingly, a sudden health hazard had broken his uprising graph with SITAR as doctor advised him to not even touch the instrument for a good few years. 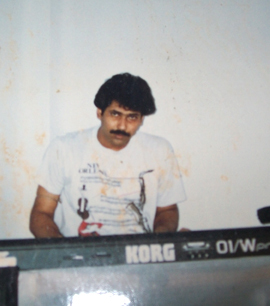 A flabbergasted SANJAY then tried out a switchover to Electronic Music Instrument and desperately bought a “01/W pro CORG Music Work Station” emptying his hard earned Dollars while in a concert tour in the USA in 1993. A new journey happened to begin with his devoting almost 24 hours barring a little for food and a short sleep for mastering over this new gadget in particular reference to being thorough about the Electronic Music system. 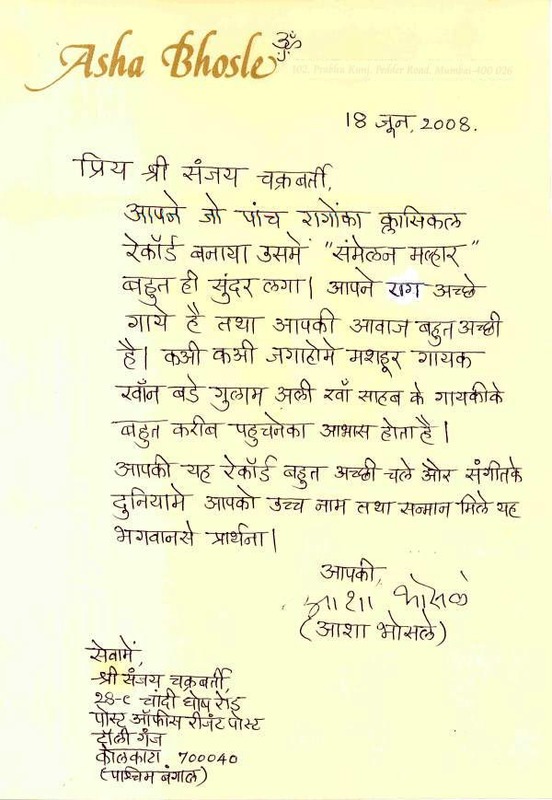 Here also SANJAY took no time to fulfill his commitment. At this point of time today, SANJAY is full to the brim with blessings of the Almighty having a good voice for vocal rendition, a recovered health for playing the SITAR again and providing a wider coverage with an added access in handling Electronic Instruments beside the Acoustic ones. Thus with the combined knowledge and skill in Indian and Western Music System SANJAY is always ahead of time in drawing success in the making and producing MUSIC of kaleidoscopic variety in fragrance, colour, taste and flavor.